By Ego Eram Reputo, July 12, 2008 in Plugins - Publishing ONLY! I'm regularly drawing chess boards and chess diagrams for analysis and I thought to myself "wouldn't it be cool if I could do this in Paint.Net?". Well, now you can! Board Size: sets the size of the board – obviously! 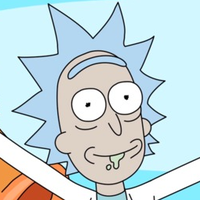 Show Game Info: Toggles additional game info (who is to move, castling rights, ep square) on or off. 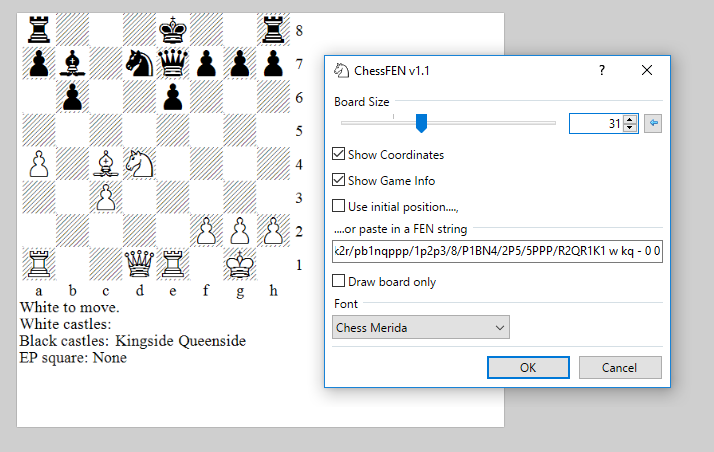 Use Initial Position: When checked, the initial chess position is shown. When unchecked, a FEN string is parsed from the window below. New 13 July 08! Draw Board Only: Draws a blank board, with or without coordinates. Previous incarnation of ChessFEN would break if you tried to build a FEN string by typing it directly into the textbox. This is no longer the case!. I have rebuilt the plugin as per the suggestions from Rick and Simon below. So now you can build a FEN string from scratch by typing directly into the textbox. Thanks guys for your suggestions. I have played chess many times , but i didn't know about this FEN stuff. Where can I get more FEN strings? EDIT: :shock: :shock: :shock: MINE DOESNT WORK All it shows is letters and numbers (the top line is as follows: t Mv WI V m T. The second line: O o O o O o O o.) Any idea why? Note: if you try to "build" a FEN string by typing it into the window, don't be surprised if the plug-in breaks. You have been warned! I suggest you paste in complete FEN strings and then uncheck the "Show Initial Position" checkbox. I'd suggest putting your parsing of the string around a try/catch block, and if an exception is raised just default to string.Empty. You can actually use the static Do.TryCatch() method to simplify this. Or simply do not parse the string if there is an error. EPD strings should also work as they Extend the basic FEN string structure. I'm sure if you did a quick Google you would find many positions available. I'm using this technique to perform some error checking, but its a bit flaky. E.G. if you paste in a FEN string and remove a random character from the middle, the parsing routine will give you an error (in RED text no less :shock: ). Is it possible that my attempts at more global error checking were thwarted by attempting to nest Try/Catch blocks? @ Rick & Simon: Thank you for your suggestions which have been incorporated into the new version of ChessFEN (see original post). 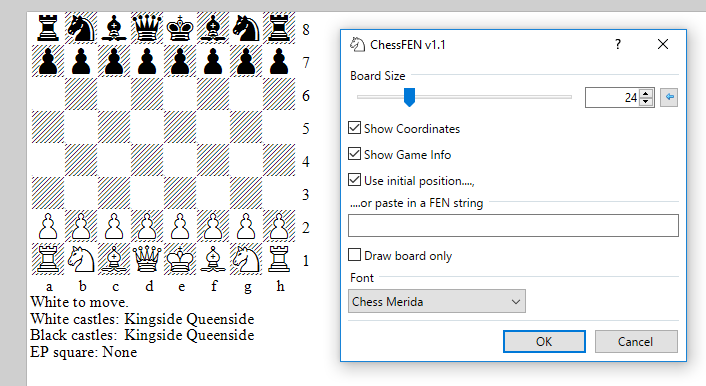 So, if I understand correctly: I can now play chess through Paint.NET? Awesome. From what I can see the plugin renders a chess diagram from an FEN string. We're working with the Chess Merida font here, so all we can choose is the colour of the font. The pieces and squares are not individual images which are able to be edited. Change the color of the diagram by selecting a different primary color before running the plug-in. @ Mike: No, Simon has it correct. ChessFEN just draws diagrams. The version of this plugin in my Plugin Pack has been updated (Plugin Browser preview image).